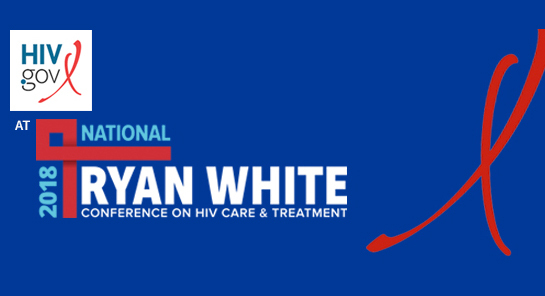 Thirty-seven business and topic-specific meetings dominated Day One of the 2018 National Ryan White Conference on HIV Care & Treatment. These sessions were organized by RWHAP Part in order to allow for more in-depth exploration of topics such as data sharing for Part B and oral health care coordination for Parts C and D.
Float outside any one of those meeting rooms, however and find clusters of people catching up. Great learning reportedly takes place in the hallways. Poster sessions were also being set up and the Exhibit Hall is open, with nearly 50 agencies with all sorts of resources, including a newly updated Training Guide for Ryan White planning bodies. Below is a taste of today. One poster session features a Continuous Quality Management project by Centro Ararat, Inc. in Ponce, Puerto Rico. Part of their CQM work involves technical support from the HRSA-funded CQII. Pap Smears. Centro Ararat involved consumers in quality management so that they could take a more active role in their health care. Consumer feedback is one reason the clinic was able to increase the uptake of pap smears dramatically over a one-year period. They see about six women daily for this test. How? Consumers said they would be more comfortable getting tests and results from a woman, and wished to have another woman to talk to about women's health issues. The clinic subsequently hired a female clinician. The clinic also made another CQM change: clinic appointments could be made with just two-days notice. Immunizations. The clinic is working to address client fears over getting immunizations for influenza and tuberculosis. After Hurricane Maria, Centro Ararat developed a new tool to take a patient risk assessment in an emergency. We will post it online once available. Data. Centro Ararat's CQM process relies heavily and unsurprisingly on the RSR client level data system. They get data-related technical assistance and are presenting a session on Friday (How to Share and Leverage Data in Good Times and in Bad) that will cover, in part, their work in integrating the RSR with their electronic medical records (EMR) system. 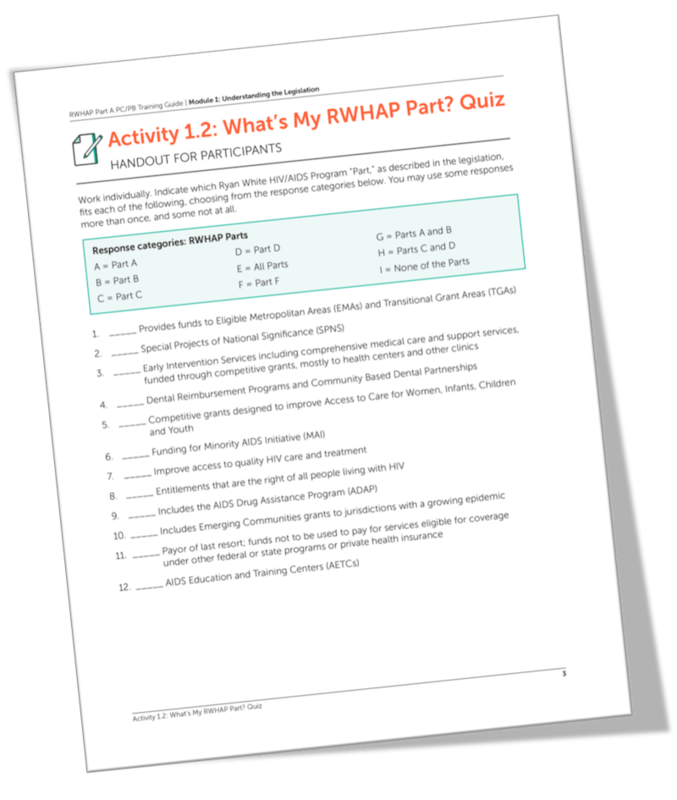 RWHAP planning groups have long relied on what's called the Training Guide to provide orientations on Ryan White planning. Just this week, the initial rollout of an update of that oldie-but-goodie was released. The first two sections of the orientation manual were posted on TargetHIV, with more to come by the end of 2018. It's now called Training Guide for Ryan White HIV/AIDS Program Part A Planning Councils/Planning Bodies: A Member's First Planning Cycle. Andrea Goetschius of JSI explained that the update was guided by insights from the field that the current content needed to both be updated but, also, needed to be repackaged to provide information in a more granular fashion to allow for use in different ways. Thus, modules are redesigned to allow for sections to be used in a broad orientation or a topic-specific training. "Each module has one or more activities so it's not just a didactic training," said Goetschius. "There are, for example role plays, which planning councils can choose to use or not. All the materials are there: handouts, everything you need to do the training. You can take the slides, adapt and edit them." Email PlanningCHATT (link sends e-mail) to learn more. 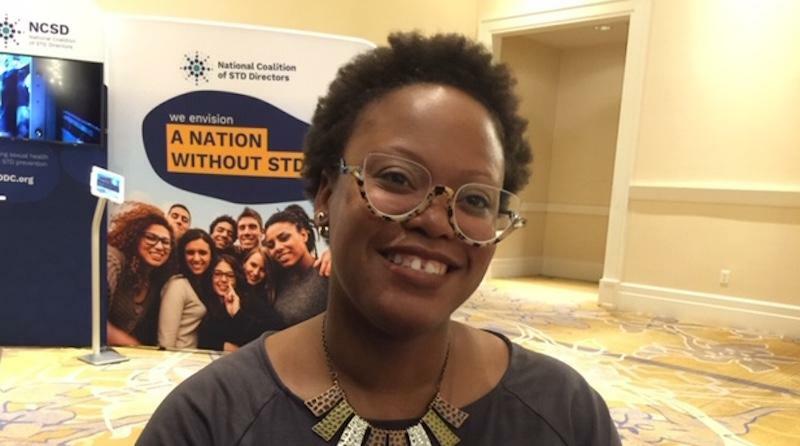 Bianca Ward has been at NASTAD for about a year and oversees their HRSA ADAP technical assistance project to strengthen the capacity of ADAPs. Ward came to NASTAD from a District of Columbia community based agency that works to deliver various HIV services, from medical case management to behavioral health. Streamlining Eligibility. NASTAD uses a lot of peer-based TA as several states have streamlined eligibility that allows Part B and ADAP determination processes to be combined and completed with one person, relieving clients of multiple office visits. Navigating Health Insurance. NASTAD's health systems integration team handles this work, often in coordination with the ACE TA Center. NASTAD will typically set up a call with a site and facilitate problem-solving with NASTAD experts and/or peer learning among states.